Magdalena Ekström, a recent graduate from the Danish Design School in Copenhagen, has created the Stiletto Chair. The Stiletto Chair is my answer to the next generation of upholstered furniture. Today most upholstery is made of foam and toxic glue – why not use a non-toxic material that gives the same comfort, but still uses less material? 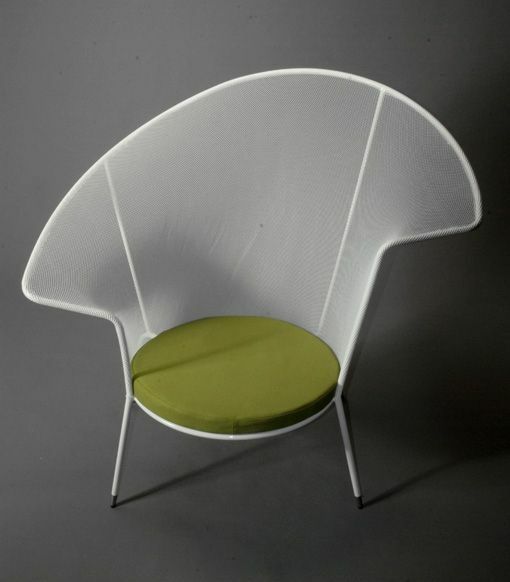 Stretched nylon net functions as good as regular upholstery and less material is needed. It’s extremely light and can be attached without toxic glue. 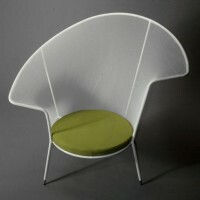 The inspiration of the chair comes from womens’ sitting posture. 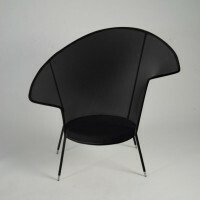 The shape of the Stiletto Chairis asymmetrical because women tend to sit more asymmetrical than men do. The intention was to create the same expression as in a chaise longue, but in a modern, elegant easy chair.